Roaring Brook Press, 9781250183637, 272pp. 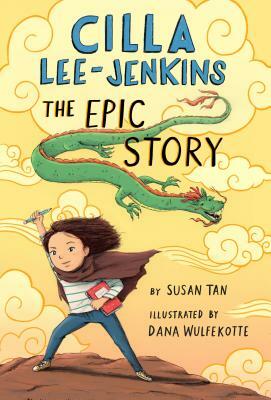 Cilla Lee-Jenkins returns to pursue her dreams of becoming a successful author while dealing with her Chinese-American family in Cilla Lee-Jenkins: The Epic Story by writer Susan Tan and illustrator Dana Wulfekotte. With humor, heart, and her mighty pen Cilla Lee-Jenkins will use her powers to vanquish every foe (the mean girls in her class), help every citizen (especially Ye Ye), and save the world.